Before I went to college, I played soccer, ski raced, and ran track. When I went to college in 2010, I quickly lost my way. I wasn’t active and I picked up poor eating habits. I didn’t take care of myself, and I knew deep down that I needed to make changes. But I didn’t. By the time I graduated, I was unhappy with how I treated myself. I made a goal to begin focusing on living a healthy and active lifestyle. I started going to the gym and really enjoyed taking cycling classes. My passion for cycling classes led me to purchase my first road bike. Soon after my bike purchase, I witnessed the Syracuse 70.3 in Jamesville, NY. I had never competed in a triathlon, but told myself I would complete the Syracuse 70.3 race the following summer. Well, I completed it and have been hooked ever since. This past July, I completed my first full-distance triathlon, Ironman Lake Placid, with a finishing time of 12:44:43. I can’t imagine my life without triathlons. Not only have they pushed me to stay fit and live a healthy, active lifestyle; I have also been blessed with many friendships within the triathlon community. When CoreLife Eatery opened in Syracuse, I was ecstatic. I have always felt that Syracuse has been a little behind in regards to the healthy food scene. Even though I live in Manlius, I make the trip (quite often) because the healthy options are worth the drive. There is so much variety; I am never bored with the selections! 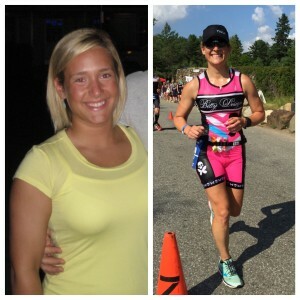 CoreLife Eatery is this triathlete’s favorite place to eat in Syracuse, NY!